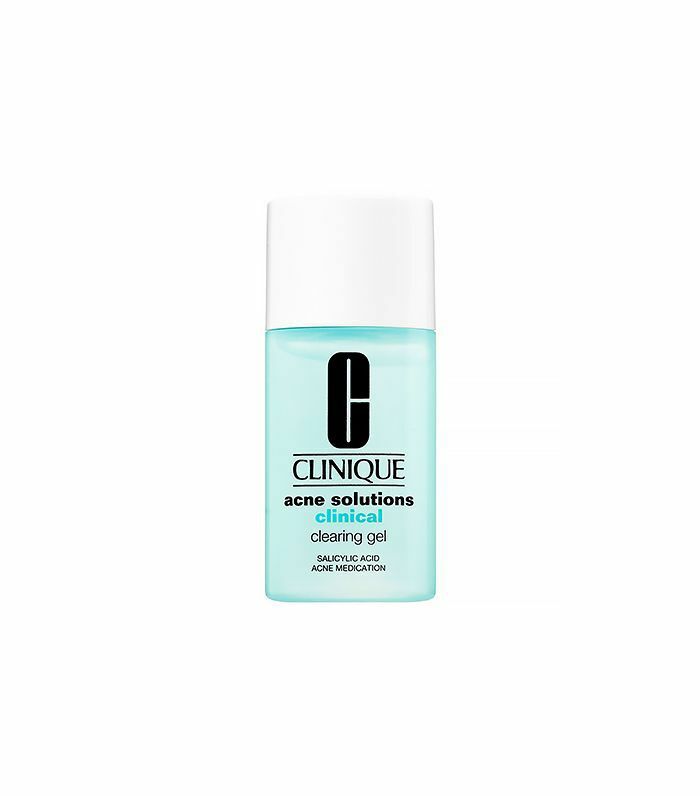 As the saying goes, life simply isn't fair—and acne flare-ups are one of those little injustices some of us have to deal with, even though we're no longer in our teens. (Seriously, wasn't dealing with pimples in high school enough for one lifetime?) And sometimes even the most carefully executed regimen is hopeless against hormonal breakouts. "Fluctuating hormones (including pregnancy), stress, family history, and pore-clogging beauty products can be to blame for pimples that always pop up at the most inconvenient times, particularly before big events or job interviews," says Dr. Michelle Henry, a Harvard-trained, board-certified dermatologist. But how can you tell if you're dealing with hormonal acne or your run-of-the-mill pimple brought on by a late night and not washing your face? And most importantly, what can you do about it? Keep reading to find out. If you're dealing with hormonal acne, there are two main indicators: Your breakouts happen along the lower third of your face, and they get worse before your period, according to Joshua Zeichner, MD, the director of cosmetic and clinical research in dermatology and assistant professor of dermatology at Mt. Sinai Medical Center in New York City. Sound familiar? Keep reading to see the best ways to deal with your breakouts. 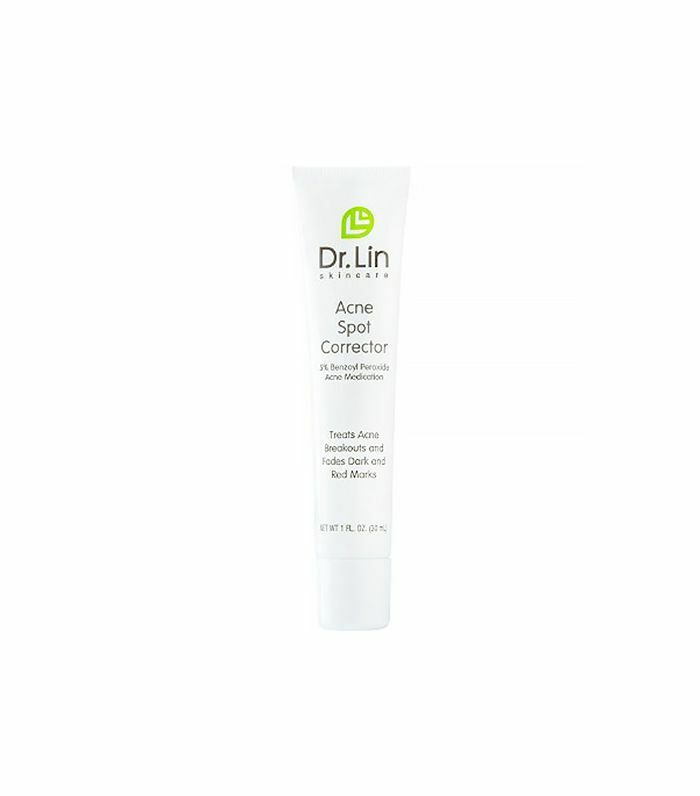 "By far and away, the best topical medicine for acne is benzoyl peroxide," Dr. Katie Rodan, dermatologist and co-founder of Proactiv, says. "Nothing, not even antibiotics, beat it when it comes to killing bacteria and clearing pores for the long-term without antibiotic resistance." Henry says that benzoyl peroxide is so powerful because it's an antimicrobial, meaning it zaps acne-causing bacteria and keeps pimples from coming back. 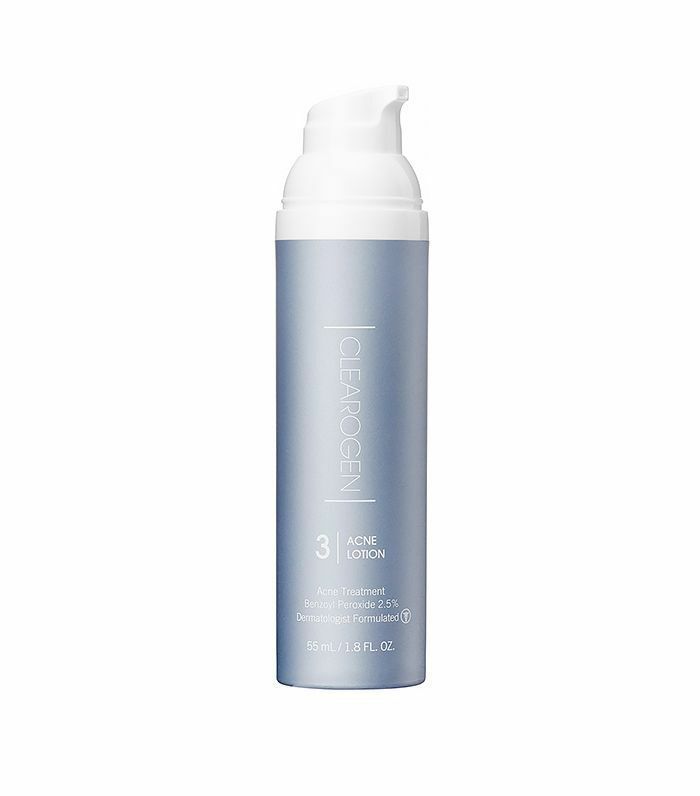 Zeichner recommends using benzoyl peroxide in concentrations ranging from 2.5 to 10 percent for maximum benefits. Rodan says that it works best when left on the skin in the form of a lightweight lotion, but that some cleansers and masks containing benzoyl peroxide can remain on the skin in an effective concentration after they've been washed off—if they've been formulated to do so (she says this is a trademark of Proactiv and its sister line, X Out). Try: X Out Acne Wash-In Treatment($20), a multi-hyphenate cleanser, mask, and spot treatment with 8.5 percent benzoyl peroxide, or Clearogen Benzoyl Peroxide Acne Lotion ($32), which contains 2.5 percent benzoyl peroxide along with soothing ingredients like green tea extract and cowslip extract. Zeichner says that the best concentration of salicylic acid is up to two percent, when you're choosing an over-the-counter product. You want to look for a product that unclogs pores and reduces inflammation, Dr. Jeanine Downie, New Jersey-based board-certified dermatologist, says. She especially likes Benzac, an over-the-counter regimen coming out at the end of the year, for adult hormonal acne. In addition to pore-clearing, skin-exfoliating salicylic acid, the line also contains East Indian sandalwood oil, which Downie says has antibacterial and anti-inflammatory properties without being harsh or drying. Try: Philosophy Clear Days Ahead Oil-Free Salicylic Acid Acne Treatment and Moisturizer ($39), a lightweight, hydrating lotion that controls breakouts with one percent salicylic acid, or Clinique Acne Solutions Clinical Clearing Gel ($25), which can be used all over your face or as a spot treatment. "A good rule of thumb is to go to your dermatologist if your treatment regimen hasn’t improved your skin after two weeks, because it is likely that you will need a prescription treatment," Henry says. 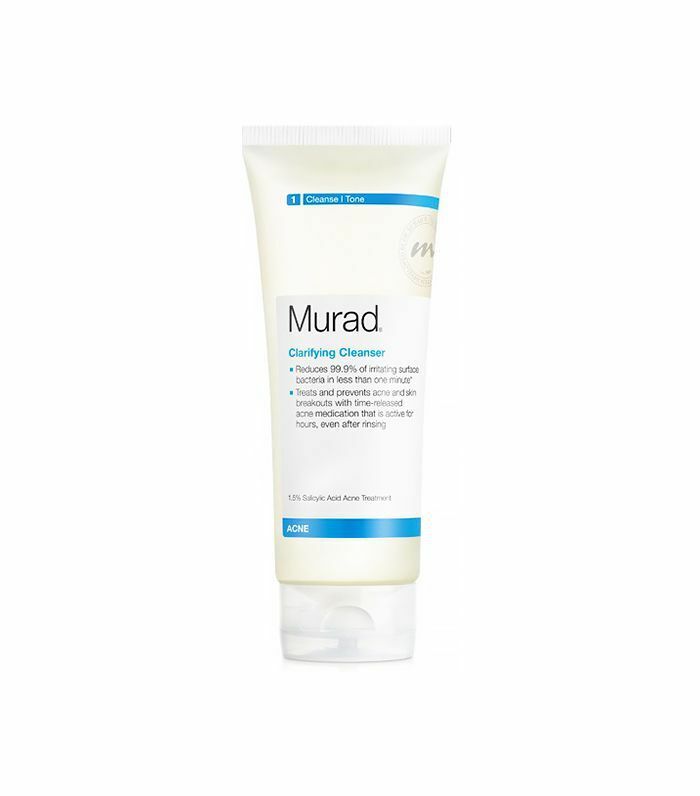 She recommends Epiduo Gel, a prescription medication that contains benzoyl peroxide in conjunction with adapalene (a retinoid); she says the benzoyl peroxide kills the acne-causing bacteria while the adapalene decreases redness, swelling, and inflammation (it also boasts pore-clearing abilities). "In clinical trials, Epiduo started working to reduce pimples in the first week of treatment," she says. Zeichner says that the best prescription options for hormonal acne are birth control pills and Spironolactone (more on that in a second). Birth control pills help regulate your hormones and decrease testosterone levels, which can mean fewer hormone-induced breakouts. Zeichner notes that there are four birth control pills currently approved for acne: Yaz, Beyaz, Ortho Tri-Cyclen, and EstroStop. Another option is the aforementioned Spironolactone. Though not specifically designed to treat acne, it is often used for exactly that purpose because it prevents testosterone from stimulating the oil glands. "Less oil means less shine, fewer clogged pores, and less food to feed acne-causing bacteria," Zeichner explains. Know thyself: "If you always break out before your period, put the topicals on starting about 10 days before your period to try to prevent the breakout from developing at all," Zeichner says. In other words, don't wait until the pimple is already there to do something about it. "Treating breakouts after they appear is too little too late, like brushing a tooth only after it has a cavity," Rodan says. 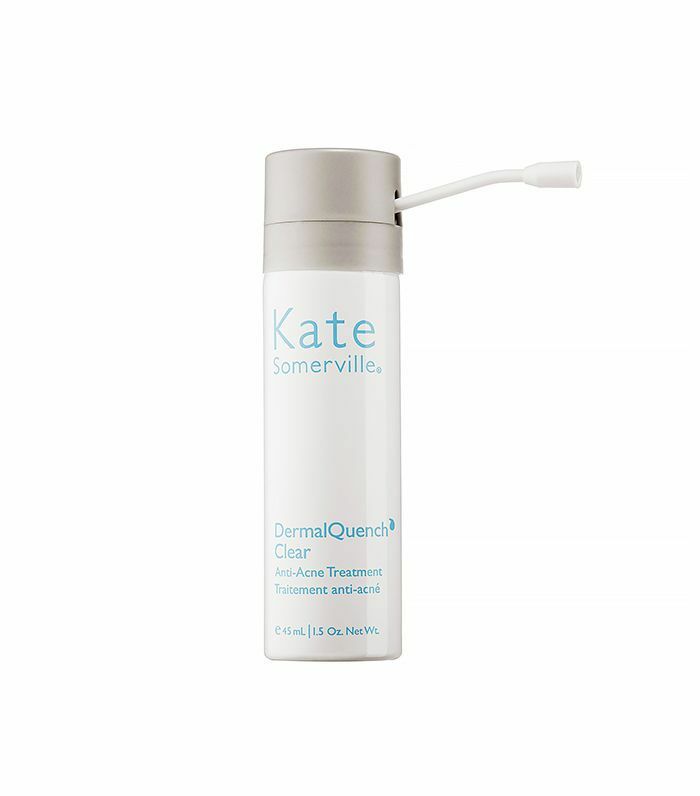 Try: Kate Somerville DermalQuench Clear Anti-Acne Treatment ($58), which combines salicylic acid (to exfoliate and unclog pores) and a combo of hyaluronic acid and botanical extracts (to kill bacteria and deeply hydrate). Staying hydrated, getting enough sleep, and reducing stress are things that are often overlooked in regards to skincare, Henry says. "Exercise helps nourish skin cells and keep them healthy," she explains, because it increases blood flow. Zeichner says that a diet full of low-glycemic-index foods can help prevent acne, as well as foods low in starch and sugar. He also recommends probiotics and foods rich in omega-3 fatty acids to help calm inflammation. Keep scrolling to shop the products in the story!